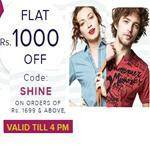 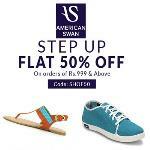 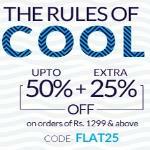 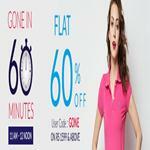 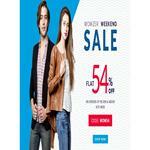 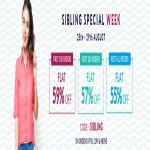 Americanswan Is Now Offering An Amazing Offer Where You Can Get Upto 50% + Extra 25% Off On Rs. 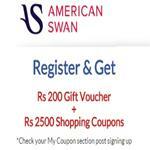 1299 From Americanswan. 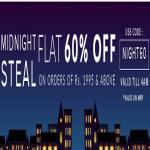 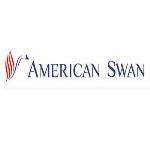 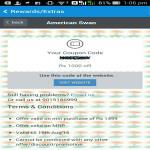 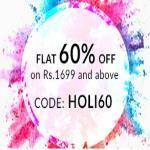 American Swan With Hike Is Offering Flat 1000 Off On 1499 Or Above Bill.+ You Can Get Extra 15% Off Through Mobikwik Wallet. 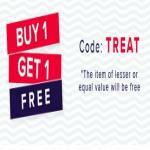 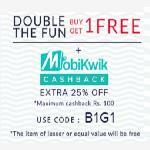 American Swan is now offering an amazing offer where you can Buy 1 Get 1 free On Americanswan & Extra 25% cashback With Mobikwik. 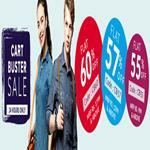 AmericanSwan Has Come With Cart Buster Sale, Where You Can Get Upto 60% Off On All Product In AmericanSwan Cart Buster Sale + Extra 15% Cashback Through Mobikwik. 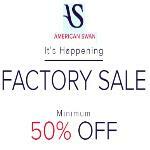 Americanswan Has Come Up With An Offer, Where You Can Get Upto 60% Off On American Swan Clothing, Footwear & Accessories + Extra 15% Cashback (Using Mobikwik Wallet).